The fitness industry constantly lies to you about how long it takes to get in shape. They don't believe you have the attention span to do what it takes. But It’s also not that hard. The success you crave requires consistency, self-love and a mindset that doesn’t expect everything to come at once. So if you're from the quick fix brigade I can’t help you but never fear everyone else has a program for you. - WON'T learn anything you can apply months down the track. - PLUS it’s really just the easy way. But when it’s easy it doesn’t leave same impact on your psyche and your soul that difficult does. The rate that your body adds muscle or loses fat is different for everybody. Some people are “hyper-responders” a little training and dietary change and they look amazing. (We all have a friend and probably a brother like that). There are also under-responders people who don’t respond much to training and nutrition and see really slow changes in their body composition. Most of us are somewhere in the middle. We can only control our thoughts, words and actions. it’s usually breaks quickly too. Then you have no successful habits or techniques to rely on. The Sports Model Project is about a process of transformation. and to give you the tools to stay like that the rest of your life. but that's because they can actually fly. 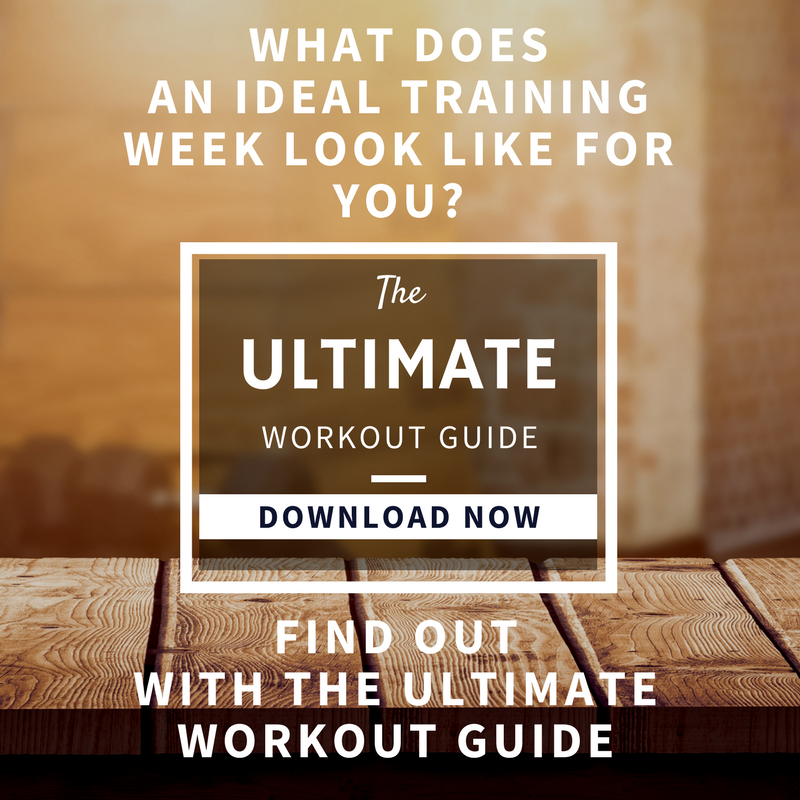 The best place to start is my ultimate workout plan. It sets an incredible training foundation - even if you're quite experienced in the gym and you've been training for a while. No, it's not going to get you in competition shape in 4 weeks. No, it's not going to give you all of the answers for your whole life. But it will give you a solid foundation to build from and foundations are incredibly important in this game. Click the banner below, enter your details and we'll send you out the plan. I take pride in training hard. In fact I live for it. It's not about "crushing goals". I like to set incredibly high challenges for myself because I know that when I fail, I’m still failing forward. I begin ahead of where originally started. There is progress in each and every failure. Create goals that make you uncomfortable. All of the good stuff happens at the point where the challenge is greater than your current level of skill. it's also the point where your resilience grows stronger. and you can train it like a muscle. and the breakthroughs are far greater. You must be willing to fail forward in order to succeed. For me a big part of successful failure is constantly applying the best principles and latest techniques to everything I do. That's why I'm super excited about the upcoming masterclass that I am running with Bret Contreras. Bret ls one of the few people who we can say revolutionised the fitness industry. But he didn't do it with marketing or gimmicks. He did it by years of study and cutting edge research which he then applied in the field. In our masterclass will help you understand the art and science behind glute training. It's a unique chance to understand how world class research is applied by world class athletes to produce outsize results. We are going to get right into the detail and then drill you through the practical application. It will be HARD but super rewarding! Naturally, my sports model project girls have had first access to this, and half of the tickets have been sold already. As a result, there's only 20 spots left - they'll go quick. These are guaranteed to go fast - get in quick to avoid disapointment. There's no guarantees we'll run this event again or in other locations. So, if you'd like to join us on this intimate workshop simply click on the link below to secure your place. What's At The End Of All Those Negative Thoughts? What could you achieve if you changed your focus? What would happen If you shifted from only seeing what you don’t like or don’t have, to seeing what you do like and you do have. You will keep on not having it and not being able to do it. Where your focus goes your energy flows. and the characteristics you will take on to become that person? Instead of going on social media to “validate” how far away you are from your dream physique, go to the gym, read a book, write out your plan, reflect on your process, IMPROVE your process, meditate, spend time with people you love. The Sports Model Project was designed to completely refocus you. To reframe all of your current beliefs, habits and process and place them in service of your big scary, secret goals. The goals that you only whisper, even to yourself. "One day I'll be the best version of myself:"
"One day I'll be strong, lean, eating food and happy at the same time"
"One day I'll put that dress on and feel confident"
"One day I'll compete, and I'll win"
But instead of you whispering them, and instead of them being "goals" my Sports Model Project makes them a reality. "I'm strong and lean, I'm eating all of the food and I'm so happy"
"I look SO good in this dress!" "I got on stage and... I won"
Are you ready to be the hardest worker in the room? Have you been training hard in the gym for the last two years? Are you willing to work on your habits and mindset as well as your nutrition and exercise? Are you must prepared to support other women and be open to them supporting your success too? If you answered yes to all of these questions you can apply for my program by clicking on the image below. So What Is Your Greatest Asset? "Is it taking me to where I want to go?" Apply to join my team by clicking on the image below. What Type Of Effort Creates Growth? but the key is the type of mental effort we make. It's not just a matter of "pushing yourself harder". In fact working hard just gets you to the start line. or conquering your fear that needs to be exercised the most. because what you know keeps you safe. But no one grows from safety. When we don’t grow we become stale. We feel lost or not good enough. If you're not growing, you're dying it's a principle of nature. and push past the limitations we create for ourselves. When we feel pressure we often want to quit. Every time we do quit, we just train ourselves to run away the next time there is pressure. that's where the growth is. All the growth, all the development is in the stuff we find uncomfortable and unfamiliar. Do not drop your standard. then you are not willing to grow. Ben Test Is it time for you to step into the tension? Click the image below to join my team. How Do You Light A Fire With No Wood? Insight without action is like a fire with a with lighter, but no wood. but the work to make it all happen isn’t. You didn’t chop the wood and that’s why there is no fire. How often have you had an insight? Insight without action is just another way to describe anxiety. but rather than taking action you just swing back to thinking about it some more. or want to grow their PT business. a year and a half stuck. they are just standing there holding a lighter THINKING about collecting some wood. no change and no result. Women always ask me how I got to the point where I'm a world champion who gets to do what I love: compete, travel the world educating and inspiring other women. but I chopped the wood and built the fire to get here. so that you can burn bright for the whole world to see. or the physique of clients to the next level. and built the worlds best team of figure athletes using those insights. I’ll also talk about how to train your emotions and mind to transform yourself, your body and your business to the point where Brett and I are: getting to travel the world and teach future leaders in the fitness industry how to really take it to the next level. The event is nearly sold out and we are only accepting people who are in the right headspace and ready to learn. Would like to apply for one of the last few spots? Enter your details and we will see if your the right fit to come and do some deep, intensive work with us. You can apply to join my team by clicking on the image below. You are no less of a person if you are not as strong or lean as someone else. You are no less of a person If you don’t have as many followers as someone else. You are no less of a person - period. It’s the act of comparing yourself to others that makes you feel less than. You are running your own race, not someone else’s. Your focus should be on YOUR OWN progress. is time you're wasting NOT improving yourself. I bet a lot has changed. In the Sports Model Project I teach you how to run your own race. I teach you how to get yourself to the next level. How to make decisions from a place of self-confidence and self love. How to set your own direction in this life. How to create a process to live your life by and then how to keep doing it. 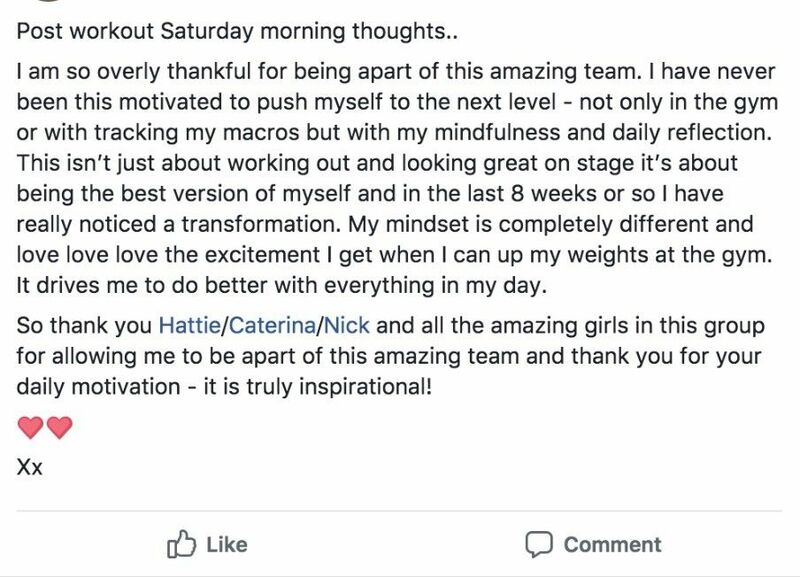 The Sports Model Project is only for girls who have been training hard for at least 12 months and know how to use weights, sorry F45 or bootcamps don't cut it. click on the banner below and apply for my team.